White coffee mug mockup with Golden Ball flower. 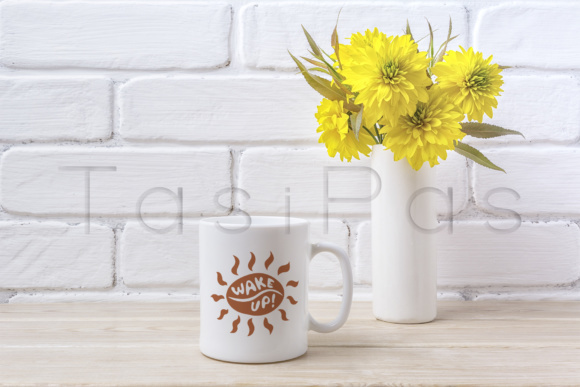 White coffee mug mockup with yellow rudbeckia Golden Ball flower. 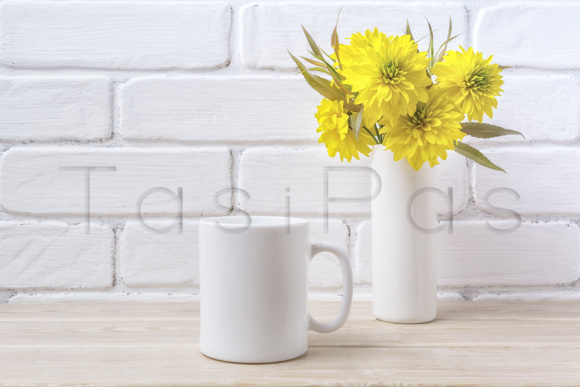 Empty mug mock up for design promotion.